Introduction: To present the current practice patterns on percutaneous nephrolithotomy (PCNL) in a developing country. 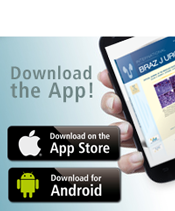 Materials and Methods: a survey was offered to Brazilian urologists during the II International Endourology Symposium held in Sao Paulo, in 2015. The first seven questions were related to demographic data while the 20 remaining were directed to urologists who performed PCNL. Results: From 250 participants, 100 replied to the survey, 81% performed PCNL and 60.4% of performers had been in practice for less than 15 years. Eighty-one percent were trained in the prone position and 64% in supine. PCNL was learned during the residency in 66.7% and 2.5% had fellowship training. Prone position was the preferred decubitus for simple or complex calculi, though for obese patients there was no difference. Younger surgeons prefer supine while older surgeons prefer prone. The access was obtained by the surgeon in all cases, 96.3% use fluoroscopy and 3.7% prefer ultrasonography. Forty-seven percent use ultrasonic lithotripters and 4.1% laser. For kidney drainage, 71.6% place a nephrostomy tube. Double J stent is left in 77%. The postoperative image method was CT for 50%. Colonic injury was reported by 25%, predominantly in the senior group without statistically difference between positions. 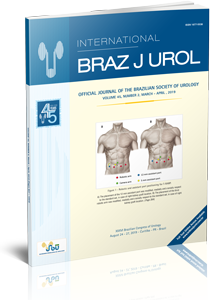 Conclusions: from a selected group of urologists, we observe that Brazilian urologists usually gain their own access for PCNL guided by fluoroscopy. They predominantly prefer the prone position, use fascial dilators, ultrasonic lithotripters and place a nephrostomy tube when exiting the kidney. Fellowship programs, ultrasonography, flexible nephoscopy and tubeless procedures could be encouraged.